The Orthodox Parish of the Nativity of the Mother of God is the Data Controller and gives responsibility to the Data Control Officer (contact details below). This means that s/he, in consultation with the Parish Council, decides how your personal data is processed and for what purposes. To maintain our own accounts and records, including processing gift aid applications. To operate the Orthodox Church of the Nativity of the Mother of God, Bristol web site and deliver the services that individuals have requested. 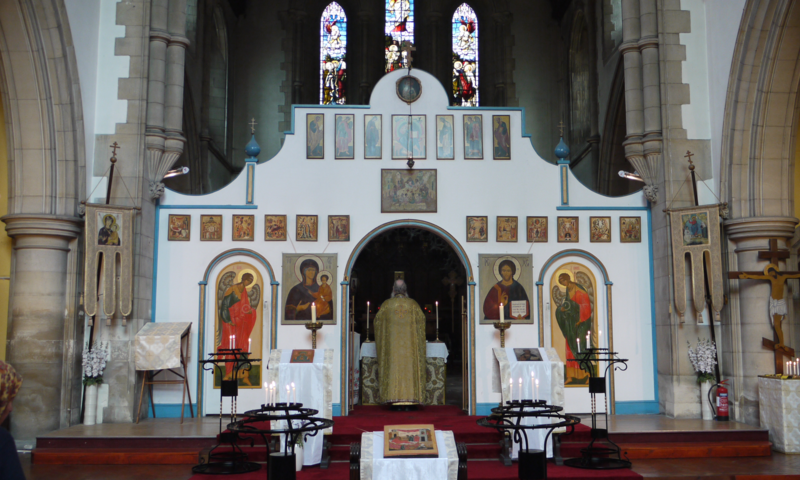 To inform individuals of news, events, activities or services running at the Orthodox Church of the Nativity of the Mother of God, Bristol and to contact individuals to ask about their opinions of current services or of any new services that may be offered. To contact parents about Sunday Schools and adults about catechetical and similar activities. Your personal data will be treated as strictly confidential, and will be shared only with the Parish Priest and members of the Parish Council, or those delegated by the Council, in order that they can carry out their office or role. We will not share your data with third parties outside the parish without your consent. We keep your personal data for no longer than reasonably necessary for the purposes listed above. We will seek to update your data at least every five years in order to maintain an accurate record and to ensure we maintain mutual contact between members of the parish and the parish administration. We also keep a historic record of parish members, but otherwise once a member leaves the parish, and they notify the Secretary or Data Controller, their data will be deleted, unless they ask otherwise. By a ‘member’ we include those who have paid their membership subscription, plus those others who attend the church and who give their data to us. Please fill this in. Keep a copy for yourself. Send the completed form back to us. NOTE: This means children under 13 years old. Separate regulation covers children of 13 and over and we will give a copy of the appropriate form to children and parents. PLEASE DO TELL US when your data (e.g. address, phone number, personal status) changes. We will then notify you that we have updated it. We will update your records no later than every five years and will contact you then for this purpose. You can grant consent to all the purposes; one of the purposes or none of the purposes. Where you do not grant consent we will not be able to use your personal data; (so for example we may not be able to let you know about forthcoming services and events); except in certain limited situations, such as where required to do so by law or to protect members of the public from serious harm. You can find out more about how we use your data from our “Privacy Notice” which is available from our website or from the Parish Secretary. You can withdraw or change your consent at any time by contacting the The Parish Secretary, Orthodox Parish of the Nativity of the Mother of God, University Road, Clifton, Bristol BS8 1SP or by emailing : info@bristol-orthodox-church.co.uk. Please note that all processing of your personal data will cease once you have withdrawn consent, other than where this is required by law, but this will not affect any personal data that has already been processed prior to this point.